This example shows you how to log and replay CAN messages using MathWorks Virtual CAN channels in Simulink®. You can update this model to connect to supported hardware on your system. Load the saved CAN message from sourceMsgs.mat file from the examples folder. The file contains CAN messages representing a 90 second drive cycle around a test track. Convert these messages to a format compatible with the CAN Replay block and save it to a separate file. 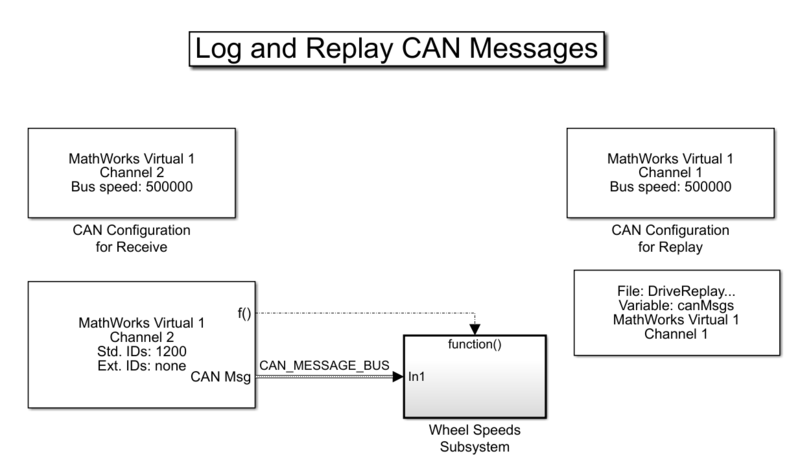 A CAN Replay block that transmits to MathWorks Virtual Channel 1. A CAN Receive block that receives the messages on a CAN network, through MathWorks Virtual Channel 2. The CAN Receive block is configured to block all extended IDs and allow only the WheelSpeed message with the standard ID 1200 to pass. 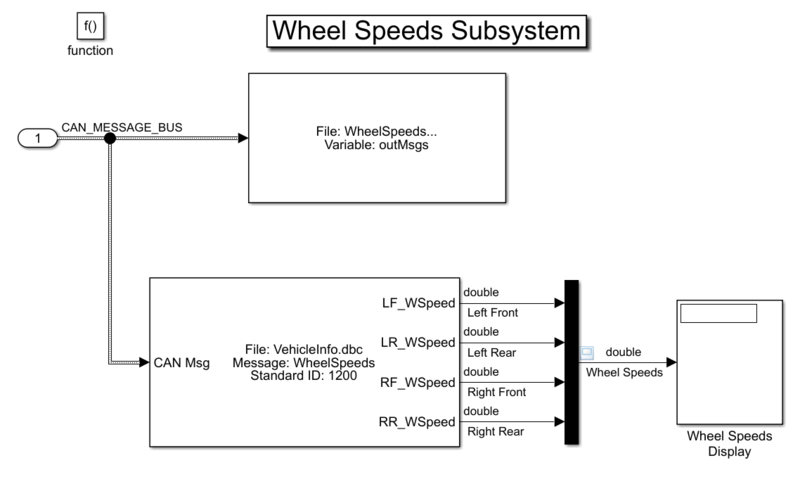 The Wheel Speeds subsystem unpacks the wheel speed information from the received CAN messages and plots them to a scope. The subsystem also logs the messages to a file. 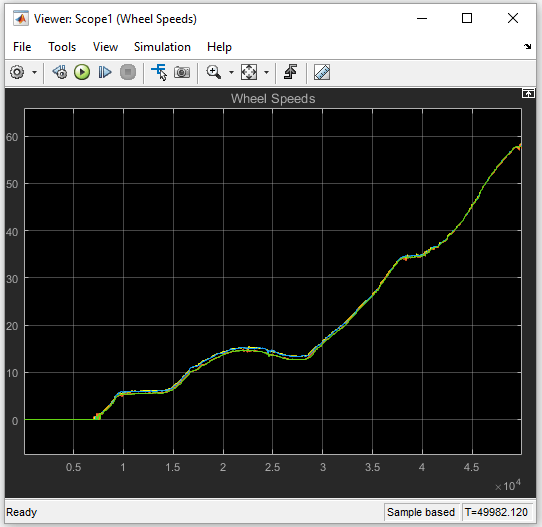 The plot shows the wheel speed for all wheels for the duration of the test drive. The CAN Log block creates a unique file each time you run the model. Use dir in the MATLAB Command Window to find the latest log file. Use canMessageTimetable to convert messages logged during the simulation to a timetable that you can use in the command window. To access message signals directly, use the appropriate database file in the conversion along with canSignalTimetable. MathWorks CAN Virtual channels were used for this example. You can however connect your models to other supported hardware.